Media giants building SVODs to rival Netflix are talking the talk, but who will walk the walk? Manori Ravindran investigates the knock-on effects of consolidation and the bigger picture around windowing and rights ownership. If 2018’s media disruption taught us anything, it was to expect the unexpected in the laser-focused drive for scale. As potential outcomes of mega-mergers such as Disney/21st Century Fox, AT&T/Time Warner and Comcast/Sky become clearer, many of 2019’s most salient conversations will center on rights ownership and windowing. 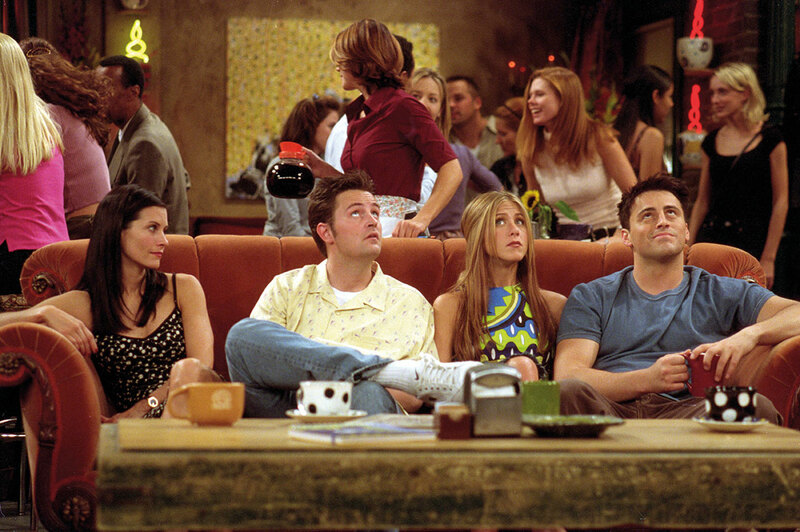 An illuminating flashpoint in the ownership dialogue was Netflix and WarnerMedia’s $100m deal for the latter’s 24-year-old sitcom Friends, which has been streaming on the SVOD since January 2015 and prompted international outcry from fans when it was revealed that the streamer’s license was due to expire in January 2019. Although WarnerMedia boss John Stankey had bullishly warned of a “substantial structural shift” that will see competitors’ libraries looking thinner when the business launches its three-tier streamer later this year and plucks its content from rivals, it made the shock move of renewing its Netflix deal, leading many to puzzle at the new frontier of content distribution. “If you’re WarnerMedia and you have a platform, how do you map through where you put content, while making sales elsewhere?” asks Tim Mutimer, CEO of Temptation Island distributor Banijay Rights. Indeed, one senior distribution exec with knowledge of Disney’s sales strategy in recent months tells TBI that the Mouse “hasn’t yet collapsed the VOD window to move content to [Disney+] more quickly – they still want that money. “At MIPCOM, Disney was looking to do short-term international deals for good content, because the international Disney+ streaming service isn’t going to launch as quickly as they thought, so [those sales execs] are thinking, ‘Oh, we might not launch for a year? Let’s see if Netflix wants to buy some stuff,’” says the exec. Jane Millichip, managing director of pay-TV operator Sky’s distribution arm Sky Vision, points out that despite “very bold statements” made by some big players, their narratives have “softened a bit” as they begin to grapple with the reality of losing short-term revenue. Millichip highlights that the question of whether or not to sell or hold on to content becomes particularly significant – and potentially dire – when you consider the impact on new projects, particularly within scripted. The loss of licensing and ancillary revenues as businesses move from programme sales-based revenue to subscription-based models could have a serious impact on funding. “There is a massive cost impact in de-harvesting rights, because we’ve built our business model for programme funding on the fact that we will monetise up to 40% of the budget through ancillary sales, and now we’re looking to potentially not do that in favour of having those shows on our own services. The shift in model, she says, will have a substantial impact on the “entire licensing world” and how much content is held back or sold openly and freely, and how this affects rights and windows. For some content suppliers, however, top-level changes in the market have put them in the catbird seat. 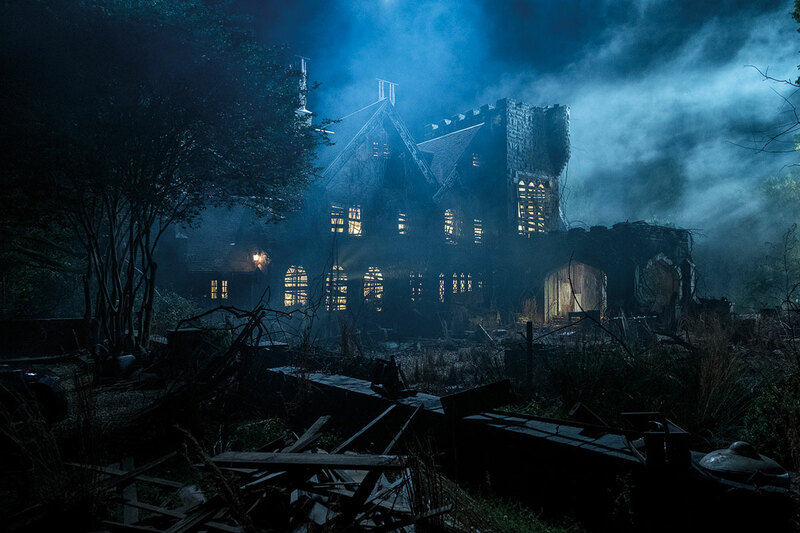 Dan Cohen, president of worldwide television licensing for The Haunting Of Hill House (above) and Catch-22 producer Paramount Television, reasons that as Disney’s acquisition of Fox sees the Mouse place a large amount of Fox content on Disney+, and as WarnerMedia preps its own streamer, these changes will greatly reduce the amount of content available to traditional broadcast clients as well as Netflix and Amazon. Ultimately, these market shifts present an especially ample opportunity for Paramount, which has “no intentions of growing a streaming service to compete”. “We want to do business with everybody, so we have moved up the food chain in terms of being a viable option for our clients. Similarly, Jonathan Ford, EVP of sales for Kew Media Distribution, notes that WarnerMedia’s service will serve as a “new customer” for the distributor. “While Disney+ will be built using Disney’s own content, I can see Warner looking to buy exclusive rights for their service, and for me, that presents an opportunity,” he says. Sky Vision’s Millichip, however, warns against the assumption that it is entirely a seller’s market, particularly at the producer level. “Producers are going to be challenged by a knock-on effect from consolidation,” she says. One broadcaster that is newly navigating challenges around windowing is Canadian public broadcaster CBC, which launched its streaming service Gem in December in a bid to offer not only CBC programming, but the “jewels of Canadian content”. 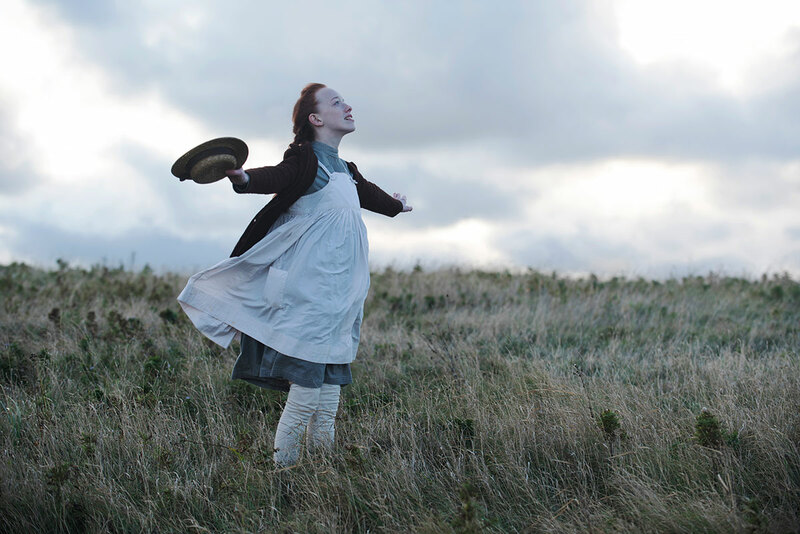 Just as Brits know to find uniquely British programming on the BBC’s iPlayer, CBC boss Catherine Tait hopes that “anyone looking for Canadian content will go to Gem” and, akin to the joint SVOD being mulled over by UK broadcasters, she is in conversation to join forces with other Canadian on-demand platforms, such as Bell Media’s Crave. “Our primary competition isn’t our domestic colleagues, it’s the global digital giants that are monetising content across worldwide audiences – something we have never been able to do,” says the former Telefilm Canada and Duopoly exec, who assumed her CBC role in July. In recent years, CBC has elevated its programming through several high-profile co-productions with partners such as Netflix, but it is now running into a “very challenging” situation as it looks to keep some of that content, such as Alias Grace and Anne With An E (above), on its fledgling platform. According to Tait, who describes “vigorous conversations” with the streaming giant around rights, the quandary represents the “nub of the challenge that all broadcasters have in co-financing with Netflix”. “Yes, Alias Grace is on Netflix in Canada, but there are holdbacks, and when their license runs out, it returns to us. As it is for all broadcasters, the managing of rights with Netflix in our own territory remains a tough challenge. Tait acknowledges that while Canadians may choose Netflix and Amazon as their primary service, “we want us, CBC and Gem, to be their second or third choice”. Matthew Graham, SVP and GM for AMC-owned Acorn TV, is equally realistic about the landscape and his SVOD’s place within it. The US streaming service, which was launched in the US and Canada in 2011 and specialises in British television, was acquired by AMC last year – a move that has “opened up opportunities”, including a significant expansion into 30 countries, including India, Australia, Spain, Sweden, Norway, the Netherlands, New Zealand and South Africa. 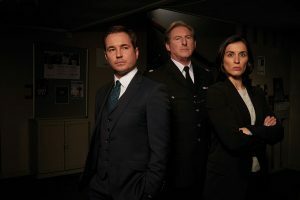 Another recent coup was snapping up first-window US streaming rights to BBC thriller Line of Duty (right), which previously aired on Hulu, premiering in 2012. The Handmaid’s Tale streamer now has the second window for the show Stateside after Acorn. Kew Media Distribution’s Ford adds that the new deal came down to Acorn’s specific focus as a niche SVOD as opposed to Hulu’s “mass market general entertainment service”. “Acorn is more targeted, and in terms of giving the series the profile in the US and the marketing backing, it made sense to go with them for the first window. Trendwatch: could blockchain shake up TV? Originally created to support digital currency bitcoin as record-keeping technology, blockchain has broken free of its contentious association and is increasingly applied across various industries, including television. Despite enduring confusion around its application, the concept is fairly straightforward: blockchain is effectively a digital ledger system that contains a record of each step in any transaction, financial or otherwise. This record is incorruptible and transparent to anyone who is able to access the system. Anita O’Donnell, co-founder of media entertainment advisers Media Minds, tells TBI that blockchain’s widespread appeal is informed by a drive towards trust in deal-making. According to O’Donnell, 2019 will see blockchain finally emerge as a legitimate tech that exists outside the “wrapping” of bitcoin, and can be used, for example, to record deal-making in TV. Blockchain technology lends itself particularly well to back-catalogue deals. “You can do those types of transactions on a blockchain-enabled platform,” explains O’Donnell, outlining how a distributor with thousands of hours of non-premium content could adopt a blockchain system for a deal with a buyer. While the above may sound like existing distribution portal TRX, O’Donnell explains that a crucial difference is that any transaction can go offline with TRX. “If I were to reinvent that portal, I would put it on the blockchain so that every element of it all has to live within the ‘gated garden,’” she says. Elsewhere, broadcasters could implement blockchain for rights acquisitions, while production companies could adopt blockchain for music clearances or rights renewals. “But the point is that for all these transactions, you still need finance people to establish the rules of engagement, so those jobs aren’t going anywhere,” says O’Donnell.